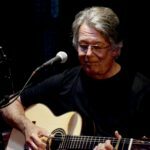 Jim Kozel – Luthier, Musician – Guitar Repair "We Fret the Details"
I’m Jim Kozel, a Cleveland-based luthier. I am also a guitarist, songwriter and teacher. Music is the heart and soul of my life. I have been performing my musical stories for well over half a century; setting up, repairing and building instruments for nearly that long. Your instrument needs to fit you like a comfortable old pair of jeans. I approach every repair, setup or commission with that in mind. This website was created as a BLOG space so you can leave comments and ask questions. As a Cleveland-area luthier and musician, one of my favorite venues is Brother’s Wine Bar. Every Wednesday night Brent Kirby hosts a 10×3 writers night. Ten acts, each performing at least two original compositions. The February 13, 2019 10×3 was special in that each performer was assigned the task of writing a new song that incorporated the words “Neptune”, “Tuesday”, “memories”, and “maker”. Here’s my debut performance of, Neptune Bar & Grill. Cleveland-based musician Rob Miller brought his new find, a vintage Silvertone parlor guitar, into the shop for some TLC. Here’s how we turned it into a very nice player. Side fractures can be challenging to reach and repair. Here’s a detailed video on how I use winch clamps and button cleats to access and repair a crack on a Martin OM. As a Cleveland-based luthier doing guitar repair and restoration, I see quite a few instruments requiring crack repair. Instruments are allowed to dry out in the winter months or left in cars during the summer. Car interiors can get to over 115 degrees and down to 14% humidity during the summer months! This Harmony Monterey was an extreme case. Five long cracks that all needed to be knitted back together. Here’s a short video on how the repair was completed. When I’m not repairing, restoring or setting up guitars for local and not-so-local musicians, you can find me playing one of my guitars. Today I took a musical lunch break to relax with one of my compositions, Moonrise. A 1934 Martin OOO-18 came into my shop for repair and restoration. After several crack repairs and some serious bar fret work, it’s singing again. It doesn’t quite need a neck reset. This 60 year old DiMauro gypsy jazz guitar came into the shop with a previous headstock repair. It had failed. This challenging repair required lot’s of planning. Here’s the long repair process condensed into a 7 minute video. As a Cleveland area luthier, it’s a joy to return a repaired or restored instrument to its owner. Sometimes I get lucky and the shop gets filled with music for a bit. That’s exactly what happend when Toni Huff Medley picked up her 1965 Gibson J-45 12-string. This video is less about the repair and more about Toni getting re-acquainted with her old friend, new strings and all.